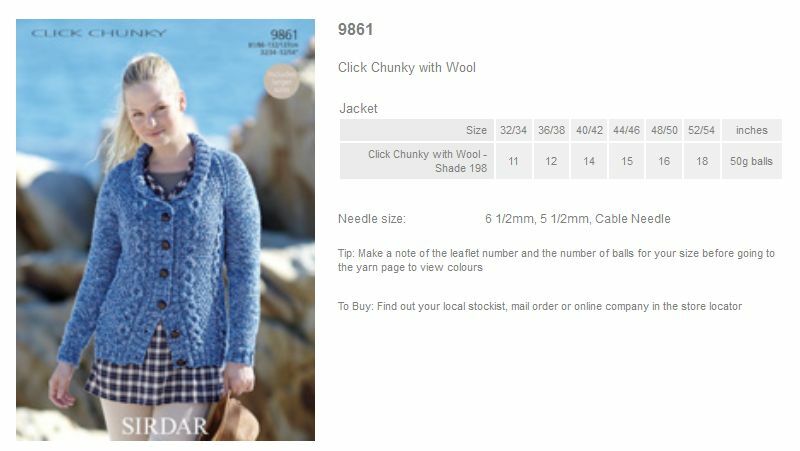 9863 - Cardigan and Waistcoat using Click Chunky with Wool Leaflet with designs for a Cardigan and Waistcoat using Sirdar Click Chunky with Wool. 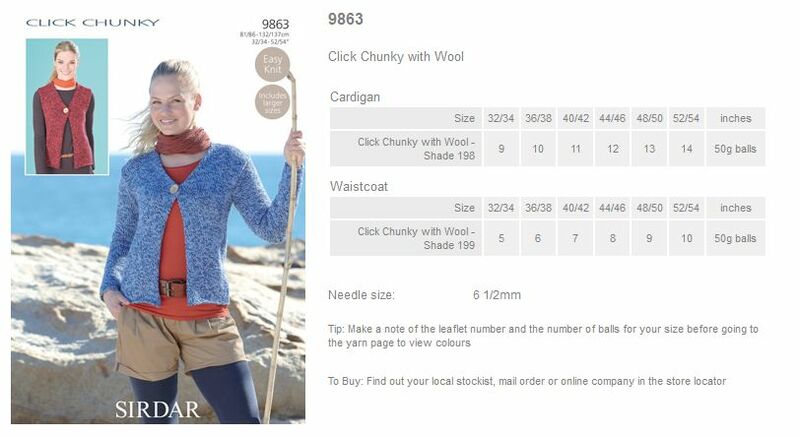 9862 - Jacket using Click Chunky with Wool Leaflet with designs for a Jacket using Sirdar Click Chunky with Wool. 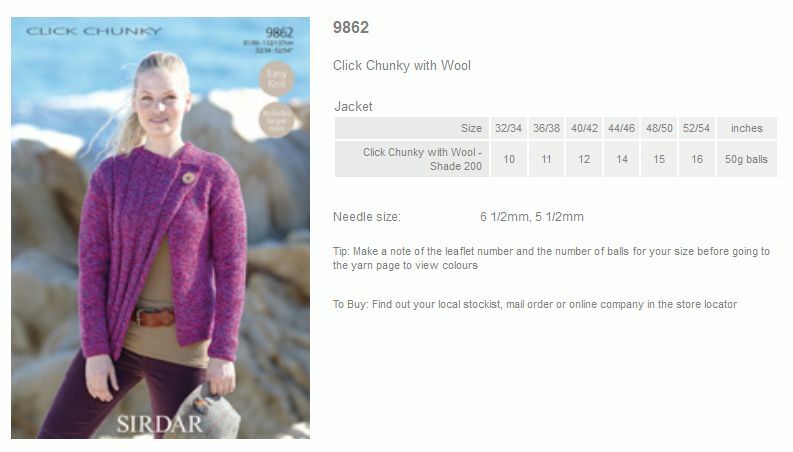 9861 - Jacket using Click Chunky with Wool Leaflet with designs for a Jacket using Sirdar Click Chunky with Wool. 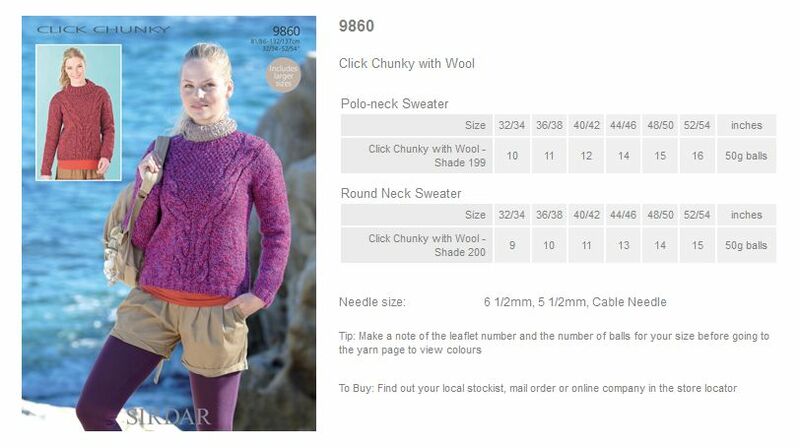 9860 - Polo-neck Sweater and Round Neck Sweater using Click Chunky with Wool Leaflet with designs for a Polo-neck Sweater and Round Neck Sweater using Sirdar Click Chunky with Wool. 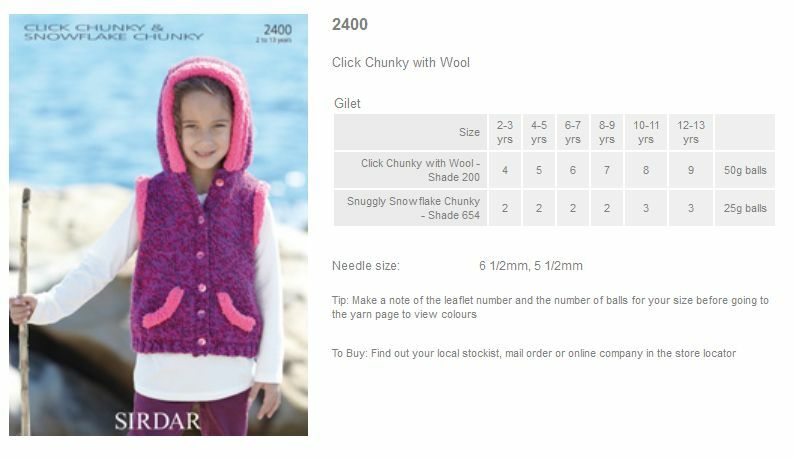 2400 - Gilet using Click Chunky with Wool Leaflet with designs for a Gilet using Sirdar Click Chunky with Wool.